Have you seen enough pumpkin spiced food related items yet? It isn't even fall and people have already indulged in several pumpkin spice lattes and pumpkin spice yogurts and all the things pumpkin. I know I have already jumped on the bandwagon with the delicious Chobani flip. Today I bring you just one more thing pumpkin - pumpkin spiced broiled grapefruit. If you haven't noticed yet, I am a huge fan of minimal ingredients. You can find tons of 3 ingredient dishes by browsing the blog. I have been a grapefruit lover for a long time. I remember eating grapefruit as a kid at my grandparent's kitchen table. There are a lot of potential health benefits to eating grapefruit and they are a good source of vitamin C. Some of these benefits include hydration, healthy skin, digestion and many more. 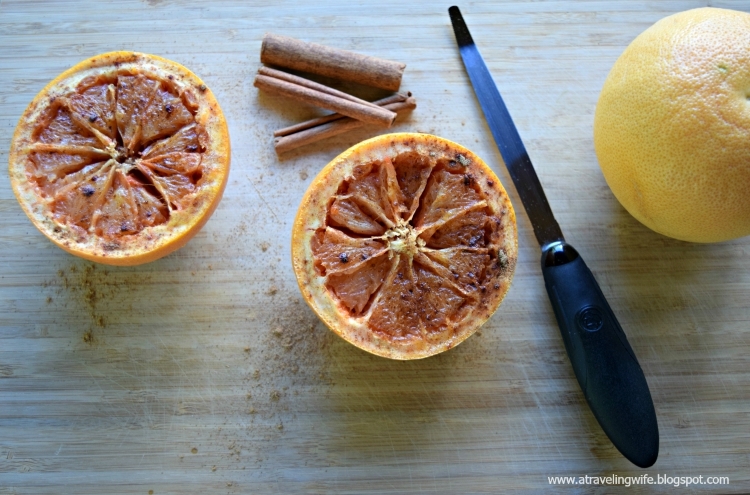 Go stock up and enjoy yourself some seasonly spiced, warm grapefruits - perfect for fall. Use a drizzle of honey and a dash of pumpkin spice seasoning then broil in the oven for 5 minutes and you will have a tasty snack. I like to use a grapefruit knife to slice the grapefruit in half then cut away from the membrane on each section. I have heard that a lot of people are not fans of grapefruit because some can have a very bitter taste. In fact, my husband has never really be fond of grapefruit. I would suggest giving these a try anyways. You can make them as sweet as you'd like by adding however much honey you want. 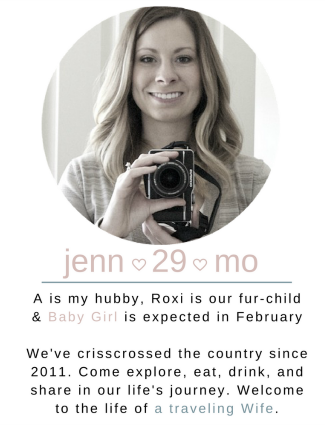 Click to tweet: Say what?! 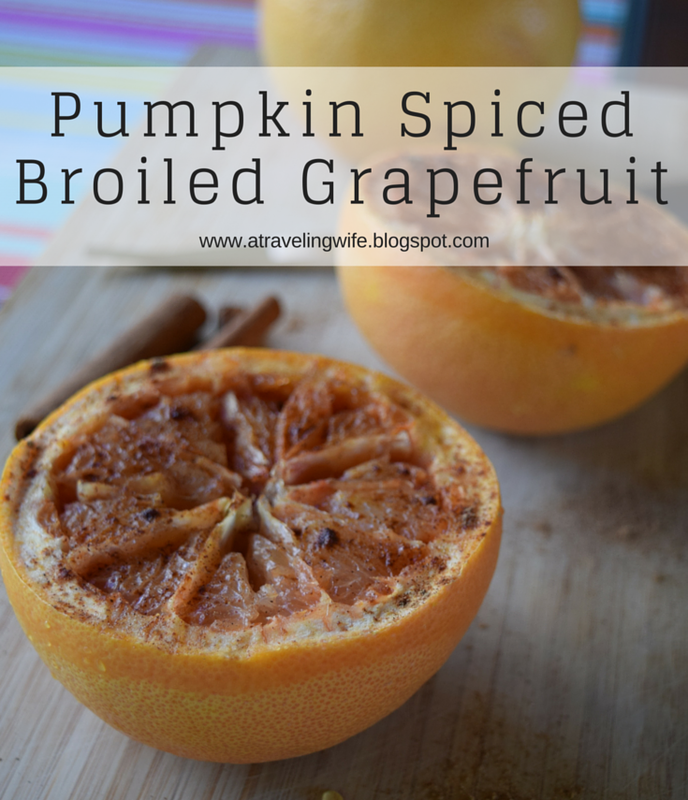 Pumpkin spiced broiled grapefruit. Yum! 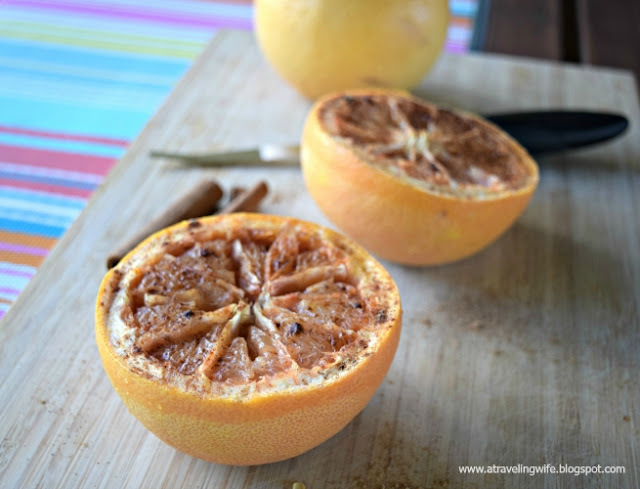 Have you ever had broiled grapefruit? They are so very good!! A healthy addiction. I totally would've never thought to pair pumpkin spice and grapefruit! What a delish combo! Broiled grapefruit is so yummy :) great idea for spicing! Seriously, it's the best! I used to only use honey and cinnamon, but it's pumpkin season and that's my favorite combination of spices. OMG. 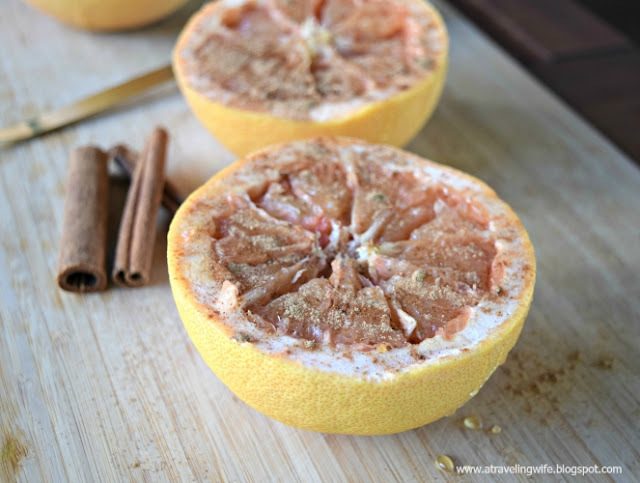 I have never tried broiled grapefruit, but it looks to die for! Especially with those pumpkin spices...Oh. Em. Gee!!!! YES - pumpkin spice is my everything. :) Plus with the cooler temperature, it's always nice to have something warm like the broiled grapefruit.